For her latest Preserve collaboration, Blake Lively teamed up with USA-based handmade accessories brand Sandast to create an exclusive baby bag named James after her daughter. 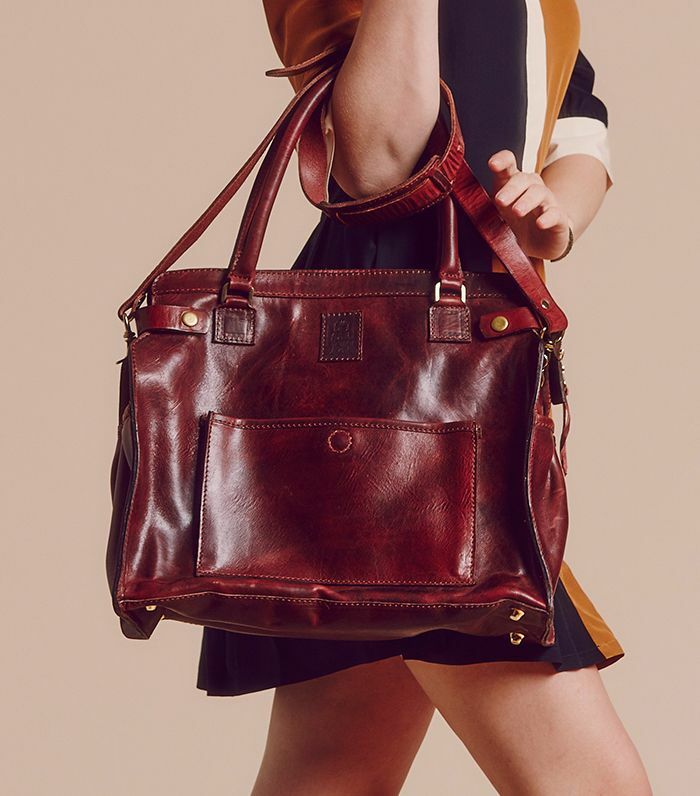 While Blake developed this vintage-feeling carryall as a baby bag, it's actually totally versatile enough to fit into your everyday life—especially as a work bag or travel tote. And although it will set you back $860, this is the type of satchel that will last forever. "This bag will last a lifetime," Blake said. "That's what it's built for." Check out the bag here in cognac and blue, and scroll below to shop it for yourself. What do you think of the bag? Let us know your thoughts in the comments below!